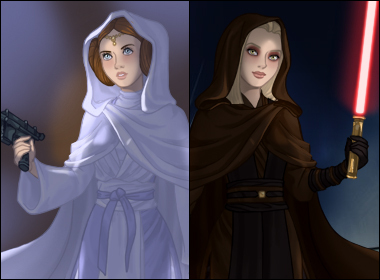 Create sci-fi characters with this dress-up game inspired by the Star Wars movies, mostly the original trilogy with Luke, Leia and Han, and also with many items inspired by Padme, Anakin and Obi-wan. 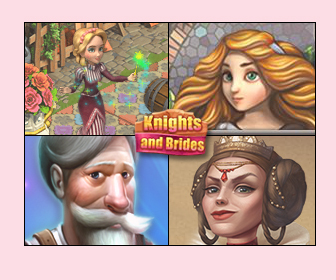 There are four themes in the game to approximate outfits from the show, and create new ones: Jedi martial artist, rebel, queen or princess, and slave. Complete her look with weapons, other types of accessories, body customization and a wide hair section. Also, to make the weapons brighter and the image altogether more dramatic, you can play around with the darkness setting! Note that each section can be reset independently (use the circling arrows by the menu titles) but you can also reset the entire doll using the Reset Doll button on the page with the backgrounds.